I Need An Instrument…What Do I Do? There are many reasons to purchase (or rent) an instrument. There are also many different ways to purchase an instrument that come with inherent pitfalls or perks. Here we will outline some of those so you make an informed decision that is best for you and your family. 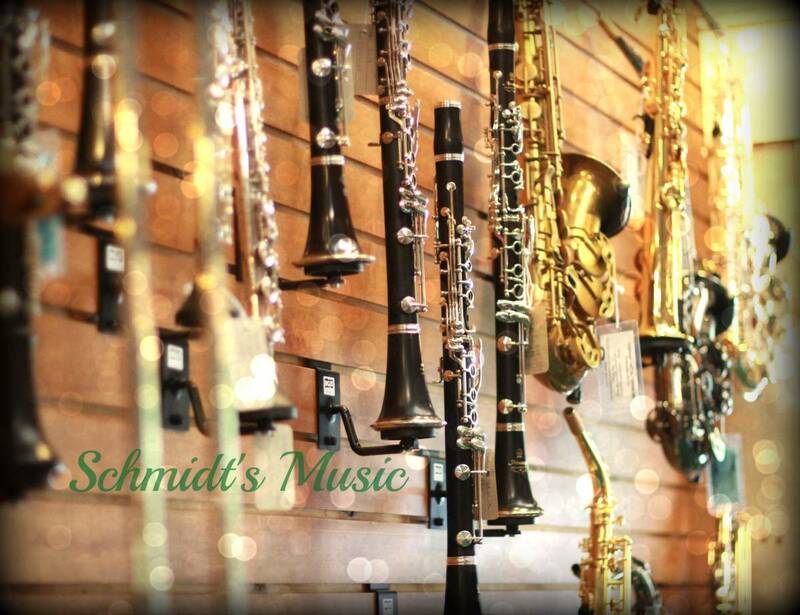 The first question you will encounter is whether to buy an instrument or rent one. I know your first thought is to run away from the term “rental,” especially when you inevitably look online and see that you can buy an instrument from Amazon or Wal-Mart for $100. At face value, a rental looks like a terrible investment – I get that. Let’s delve deeper into the subject. A good rental program will be a Rent-To-Own which means you will own the instrument should your student (or you) decide to stick with it and get through the term length. Here are some indications of a quality Rent-To-Own program that will benefit you. Is the RTO program done in-house? Is the price I saw online all-inclusive? Are the repairs done on-site? Qualifications of the repair staff? Naturally, an outright purchase is going to be cheaper in that you only pay for the cost of the instrument. It also means any repair cost will be out-of pocket. If that doesn’t deter you, make sure you research the instrument you are interested in. Is it a good brand? In many aspects of life, off-brands are a great idea! Cost-effective and functional. Musical instruments are NOT one of those. A poor quality instrument will only cause issues for the player. There are too many intricate, moving parts to skimp on quality of materials just for the sake of lowering the price. 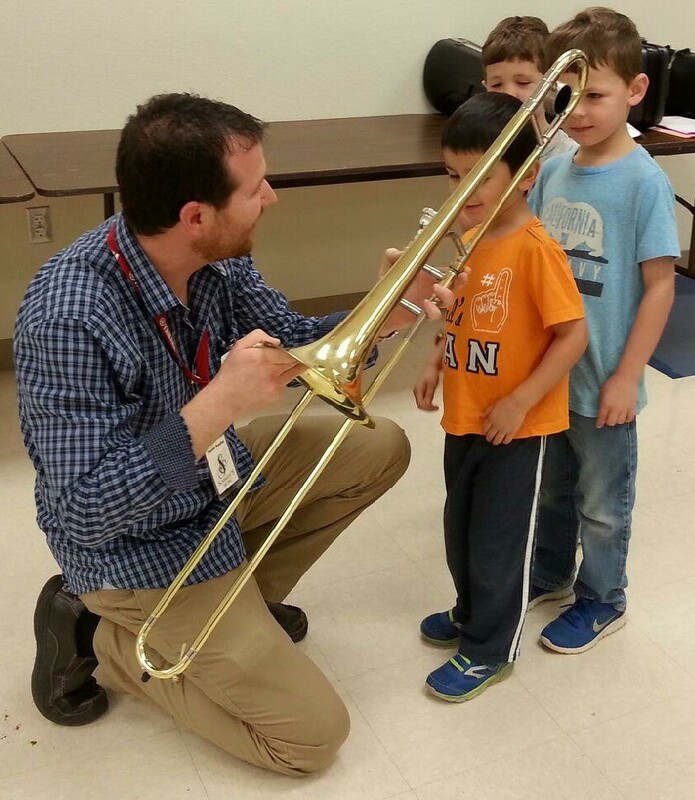 Poor quality instruments hinder the progress of children in music programs. 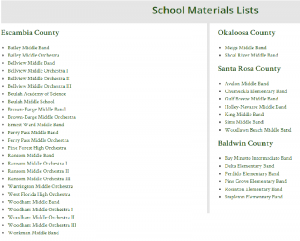 Check with your student’s music director for an approved brand list, or check our lists here. Who is selling the instrument? You really want to know who you’re dealing with. It is really easy to just buy something online and ignore the human interaction, but this is an investment. Buying an instrument for your student is an investment in their musical career (whether or not how long it is). You need a reputable source for instrument sales – just because a business is reputable, it doesn’t mean they are a good supplier for the instrument you need. To answer this question, you will need to research the approved brands provided by your child’s teacher. One instrument isn’t just as good as another. If you’re looking at an instrument purchase and this thought crosses your mind, you’re probably right. Instruments purchased online at very low costs are typically designed as a throwaway instrument. Replacement parts aren’t made, so it cannot be repaired, because the materials are very low quality. I know you will probably think that since your child is just “trying this out” or “just getting started,” it is better to just buy a $100 clarinet online. Of course, this in conjunction with you will get them a better one if they stick with it. Unfortunately, this will only make your child struggle. It is akin to your child telling you they want to try out for the track team, so you give them a pair of flip-flops with the promise of getting them proper tennis shoes if they make the team – it just doesn’t work. Ask questions – it is a company’s job to answer questions for you. If they dance around or ignore inquiries, watch out. Have fun! – Music is fun for the player as well as the parent. Sure, they will be some time when you want to grab ear plugs, but encouragement and a good quality instrument go a long way! What is the first thing you do when you want to buy a product? Check online! Everyone does it (myself included). With so many marketing strategies geared to making buying easier and quicker, why would you think of looking anywhere else? A local, specialty shop will typically carry a larger variety of products that will suit your needs. Big-box stores (even local stores trying to adopt that business model) are going to fall victim to making a selection in order to fit the store. Meaning they will carry a sampling of a lot of different products. A specialty shop will carry a unique variety of products within that specialty and can typically order an item not carried on the premises. Sure, specialty items can be ordered online, but you cannot look at it or get a professional recommendation. I would say the biggest selling feature of a local, specialty shop is the fact that those in the store are familiar with the product they’re selling! In our store, for instance, we all went through public school music programs (band or orchestra). This experience enables us to recommend a product, tell you why, and be able to discuss concerns or questions on a level that you won’t find at other stores. I know that there are forums and whatnot online, but that isn’t a person that you can interact with face- to-face. The internet is full of trolls (people that will just say things to say things and their comments tend to not be completely useful) who will just argue with you. There are blogs and forums by really intense people that feel very strongly one way or the other and you can’t always get an answer to the question you have. Specialty stores can give you one-on-one interaction without the hoops of looking online. In a local business, we know the product and we also know you! 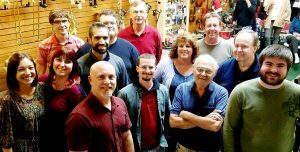 Another benefit to our store in particular is that if you come to us with an issue with your instrument, even if you aren’t sure if the issue is with the instrument or the player, we can fix both! Any instrument you get online (or occasionally a local all-in-one store) will have to be sent off to be fixed. If you own a Toyota, you mostly likely won’t drive to a Chevrolet dealership to have them work on your vehicle. Not because they don’t know automobiles, but because they don’t specialize in your particular model. 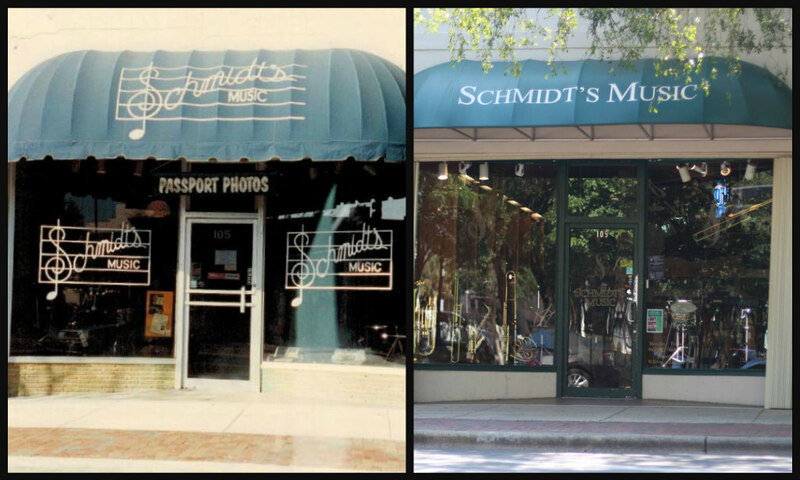 Specialty music shops, like ours, are so familiar with the industry we can eliminate issues no matter what the cause! When you spend $100 locally, 68% of that stays in the community rather than the smaller percentage that comes with larger retailers (Read that article here). Local businesses are more likely to give back to the community and spend their money within the community. Every dollar that stays in the community helps projects, schools, roads, charities, citizens, etc. Not just the money, but the overall vibe of the community. Every Pensacola native knows you need to go to Joe Patti’s for fresh seafood and Apple Market posts conversations with people who always ask to fix their iPhone. When Apple Market was afraid they would have to close their doors, the community banded together to make sure that family wouldn’t suffer that hardship! Without spending your money locally, there wouldn’t be any stories like this. The Palafox Market is held every Saturday. It is FILLED with local vendors that make a living doing what they love. You can shake the hand of the person that crafted the item you seek or raised the plants you wish to purchase. Shopping local is a personal experience. What places do you visit frequently? Before you worry, this isn’t as dire as it sounds. However, when you’re headed to a concert and your string breaks, Amazon can’t have it here in time (or install it for you). When your child texts you from school, frantic because their last reed broke, you need something right now. Local shops are right there when you need them. However, if business is only given in the case of an emergency, one day the small business owner will have to lay people off and close the doors. Your favorite, small grocery store will be replaced with another Wal-Mart. We care about your experience and rely heavily on your patronage. We hope to see you soon! My child joined the orchestra! 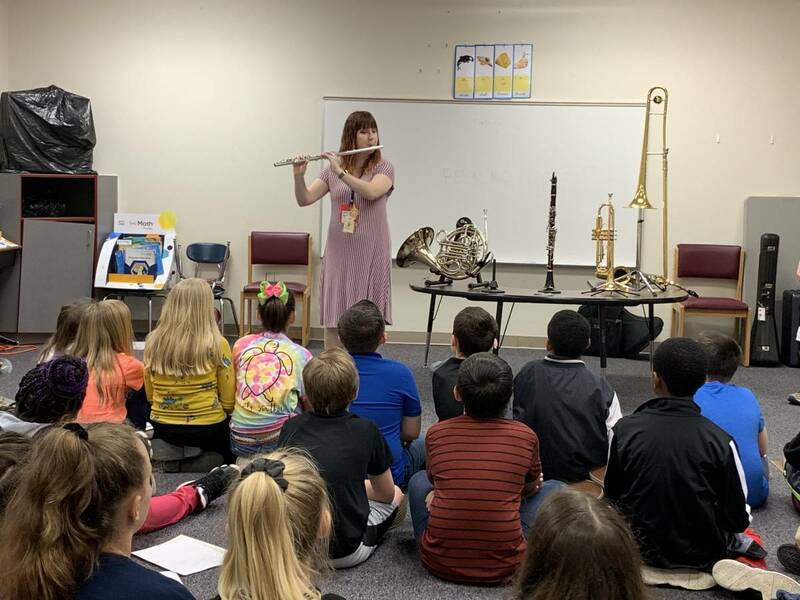 Whether your child has joined the 5th grade string program at their elementary school or orchestra in middle or high school, there are a lot of things to keep in mind! Don’t worry – it won’t be too much to take in! Not very much at all! 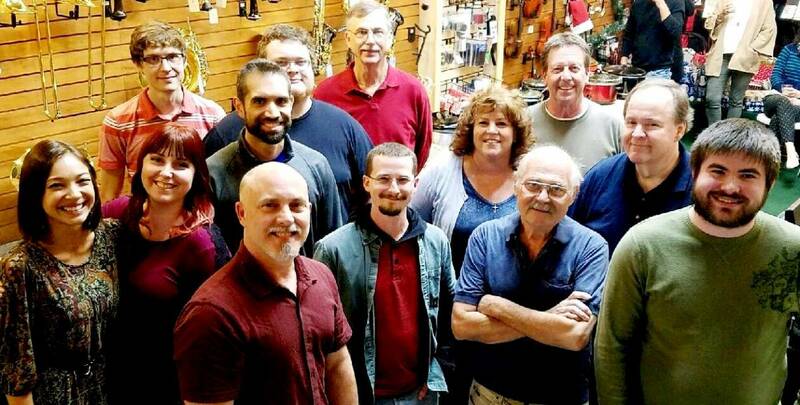 A good Rent-To-Own program is your best bet for stringed instruments. 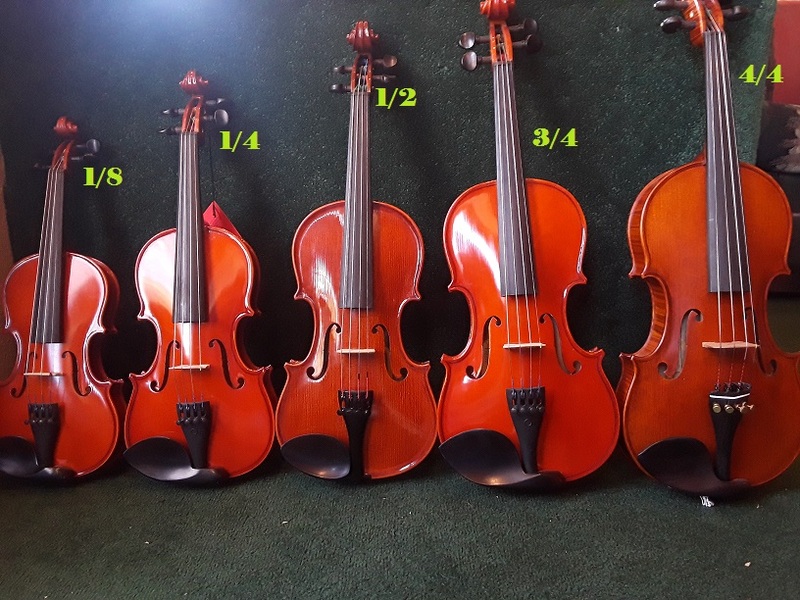 The four instruments of the orchestra (violin, viola, cello, and bass) are designed in several sizes in order to accommodate growing players. It’s the equivalent to buying the right size of shoe for your child. Under a RTO (Rent-To-Own) program, you will be able to return the instrument (if your student decides not to continue), size up as your student grows, or exchange for a different instrument. A lot of students that begin on violin in the 5th grade program expand to one of the other three orchestral instruments when they move to middle school. Similar to shoe sizing, it will depend on the size of your child rather than age. 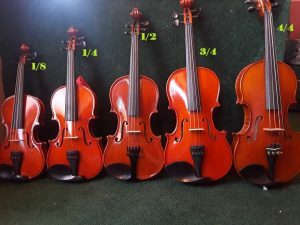 More specifically, the stringed instruments depend on arm length (a store that specializes in orchestra will be able to measure your student and get the appropriate size instead of just giving you one). What if I want to buy one? If you buy an instrument outright, you will want to have it checked out by a repair shop. There are a lot of companies (online is one of the biggest culprits) that will sell very low quality instruments at an attractively low price. 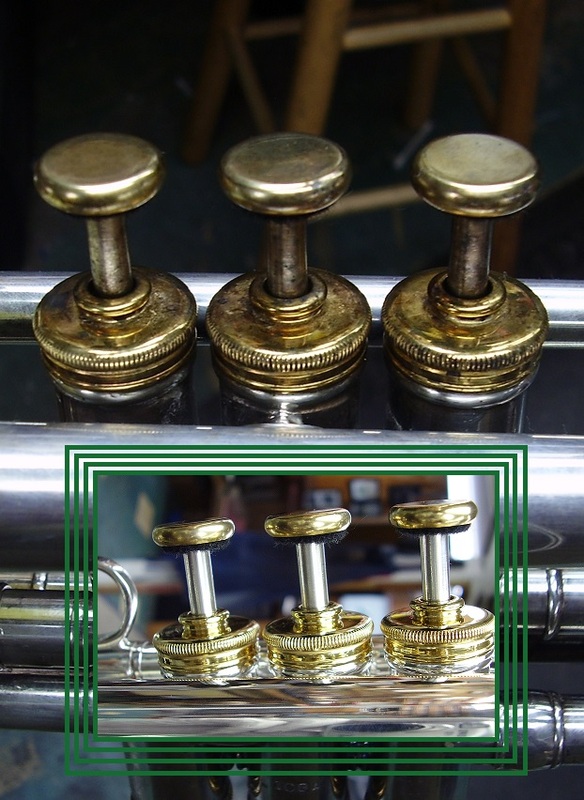 A poor quality instrument won’t sound as good, hold up as well, and will have inherent issues. 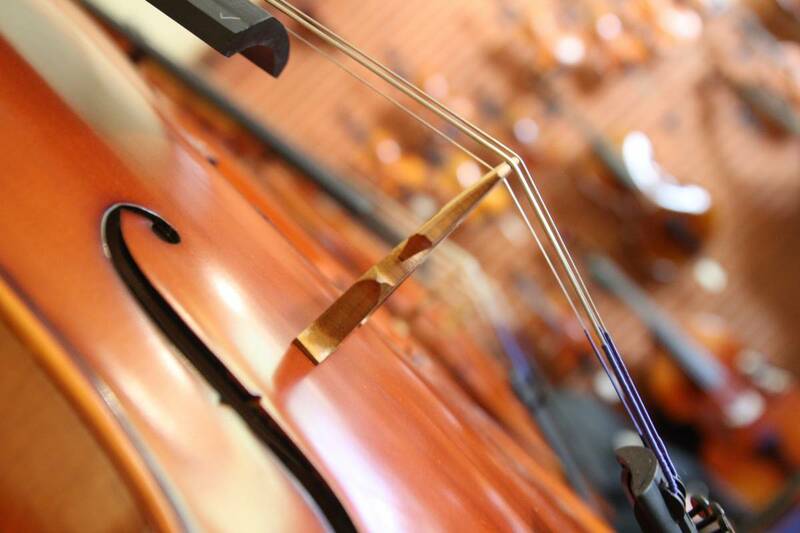 If your student plays a size other than full-size (violin – 4/4, viola – 16”, cello – 4-4, bass – 3/4), this means you will accumulate different sizes of orchestral stringed instruments as your child progresses. This is another benefit of a Rent-To-Own program. 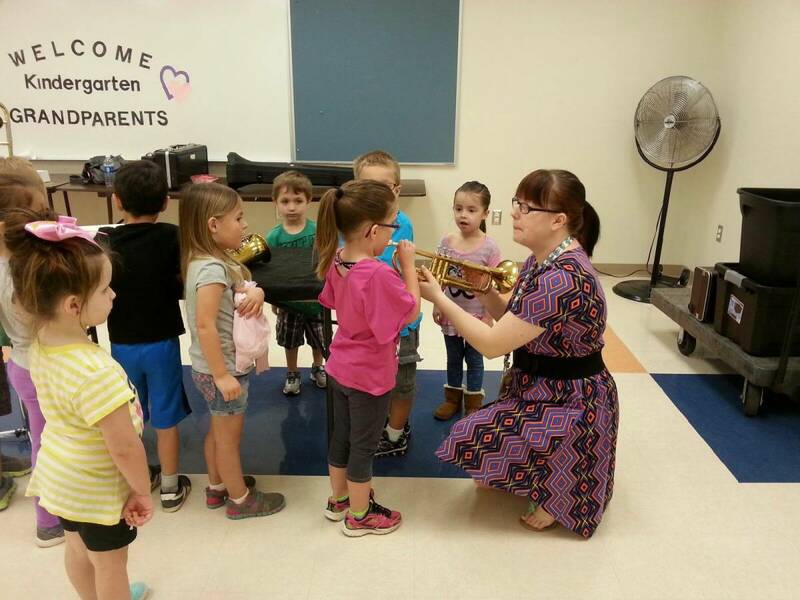 If you get an instrument that is too big or too small for your child, learning will be more difficult and often leads to frustration. You wouldn’t want your child to try out for the basketball team in shoes too big or too small, you want the shoes to fit just right to set them up for success; it is the same concept with the right instrument! Good idea to visually inspect the instrument. Some wood is painted black and not actually ebony. Softer woods that are just painted black will actually compress under the tension of the strings. The instrument won’t stay in tune or possibly even stay in one piece. If you see a “fun” color, run away (blue, red, green, purple, etc.)! Plastic or heavily weighed-down wood (by paint or lacquer) will deaden the sound and ruin sound projection. It will help your child succeed and prevent frustration because of malfunctioning equipment. No instrument is perfect, but getting a quality instrument is a step toward eliminating some of the struggles. When you invest in an instrument, you’re investing in your child’s musical career – no matter the duration. Even if your child doesn’t stick with it very long, the overall experience should still be a positive one. A quality instrument is the equipment needed, just like you need cleats for football and tennis shoes for track. A low-quality instrument to “get started” is like giving your child flip flops until they make the team. Learning something new is challenging enough without your equipment not functioning properly. While the price tag comparison may be a bit of sticker shock, it pays off in the long run and will be the best thing for your musician. Is there a lot of extra “stuff”? Not at all! 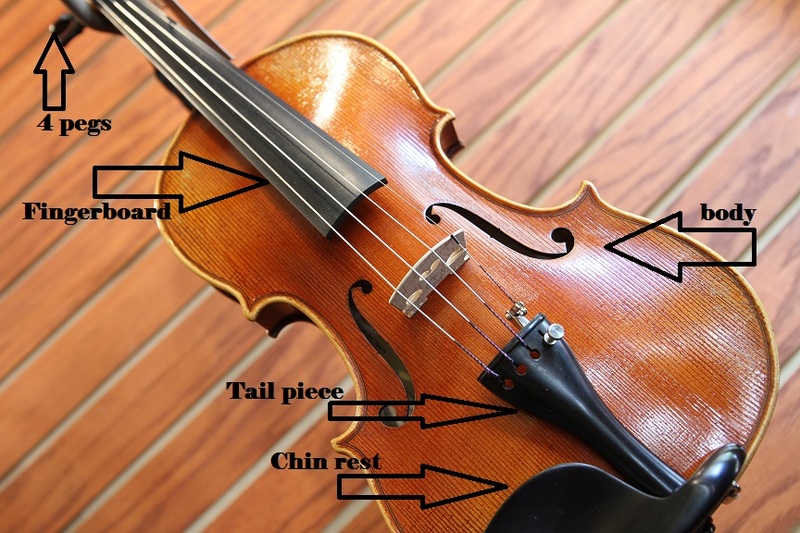 You will need rosin, a polish cloth (both of which come with our rentals), the book specified by your teacher, and a shoulder rest if you play violin/viola or a rock stop if you play cello/bass. Some orchestra directors ask for a folding music stand, which is used for the 5th grade programs and in middle/high school they are used for home practice (occasionally concerts). It is a good investment even if the director doesn’t require it as it promotes good playing posture. Luckily, stringed instruments are VERY low maintenance. As long as you keep it out of extreme temperatures (hot as well as cold – never keep in your vehicle! ), all you need to do is wipe it down to keep fingerprints and rosin dust from building up. You will also have to loosen the bow after every time it is played. Since the bow has horse hair, the hair will stretch and the bow stick will warp which translates into having to get a new bow. This also means you need to refrain from touching the hair since the oils from your fingers will ruin the bow hair (dirt and rosin will build up until it is no longer usable). I’m glad you asked! Rosin is tree sap, plain and simple. It comes in “cakes” (industry term) and is solid (unless you play bass, then it is almost a liquid; very viscous). Rosin is applied to the bow hair to make it sticky, helping grip the strings which results in sound! It comes in light (or summer) and dark (or winter). These are harvested from the same sources, but the difference is all in the name — when they are harvested! Tree sap extracted in the summer moves quicker and is lighter in color while any taken during the winter months is very slow-moving and dark in color. Being slower makes it stickier, which is perfect for the instruments with larger strings (viola and cello), but it can also be used on violin; it’s all based on preference! 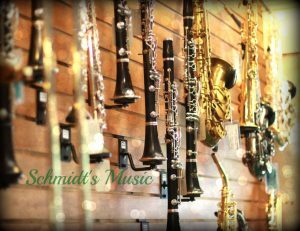 Don’t be scared about all of the specifics, Schmidt’s Music is here to guide you through this process and try to make it as simple as possible for you! If you have an allergy, don’t worry! 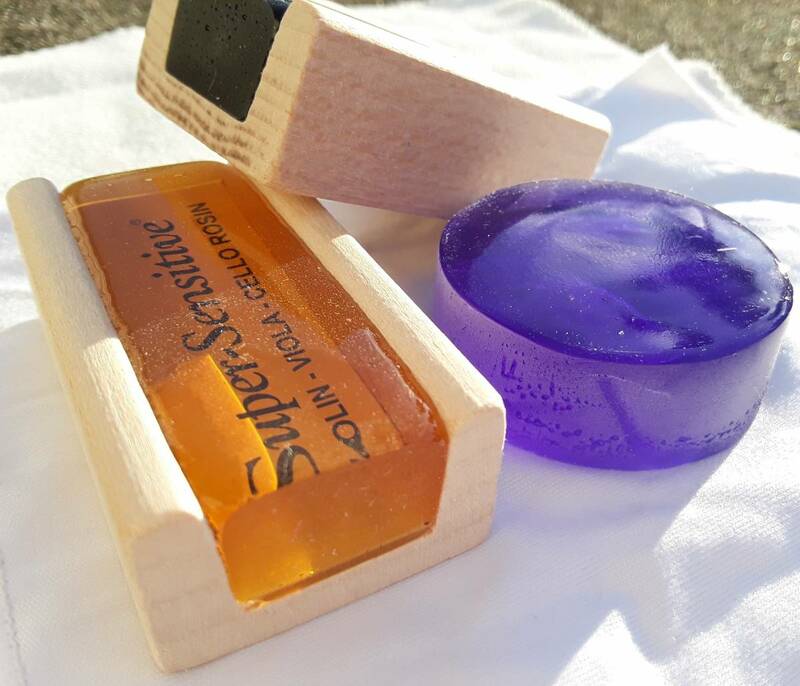 There is hypoallergenic rosin out there and it comes in fun colors! You can absolutely still use this rosin (it is a higher quality than just the standard) even if you don’t have an allergy. 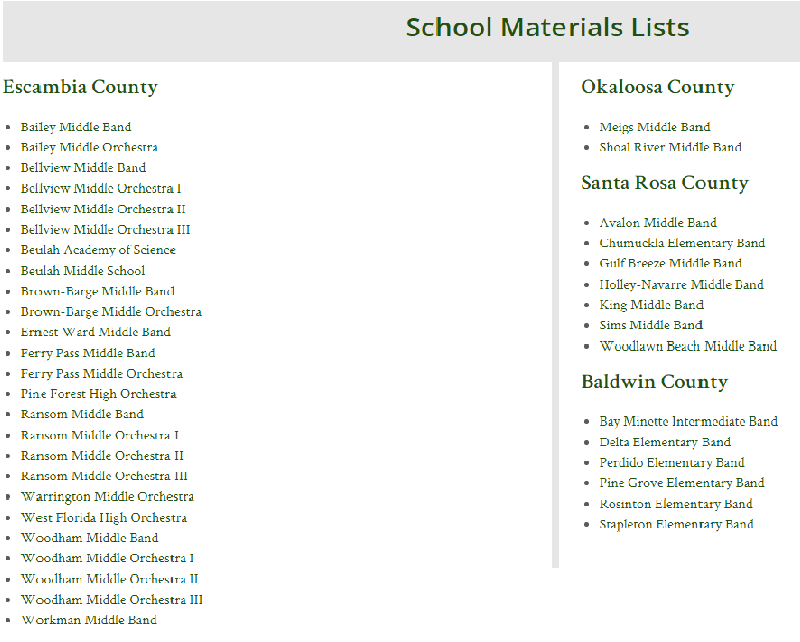 In fact, some teachers put it on their supply lists for all of their students! There are plenty of brands of rosin! If you’re interested in knowing more, just ask us! My child joined the band! 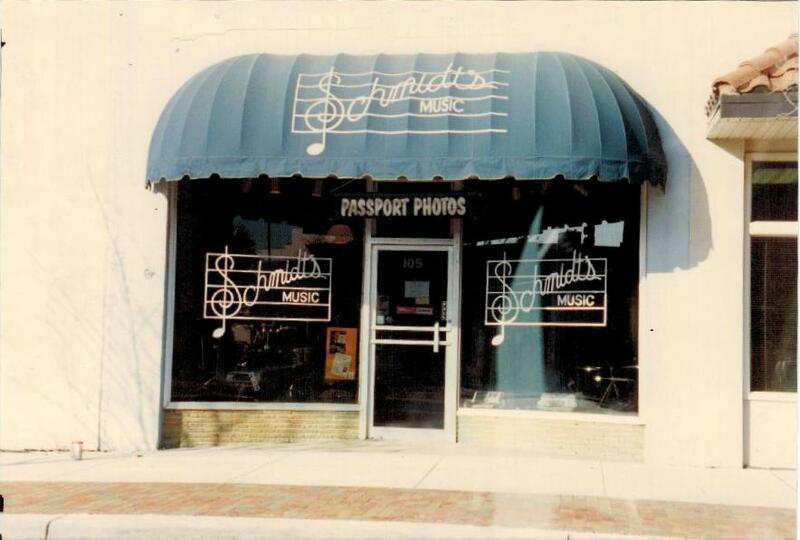 Copyright ©2015 Schmidt’s Music. All Rights Reserved.